Nova Scotia's government is laying the ground for another showdown with its public sector unions after promising to slow down hiring, consider relying on the private sector to deliver some services and streamline collective bargaining with health-care workers. The Liberal government took aim at public sector labour costs in its throne speech Thursday, warning that the salaries of civil service workers could not be sustained given Nova Scotia's financial pressures. 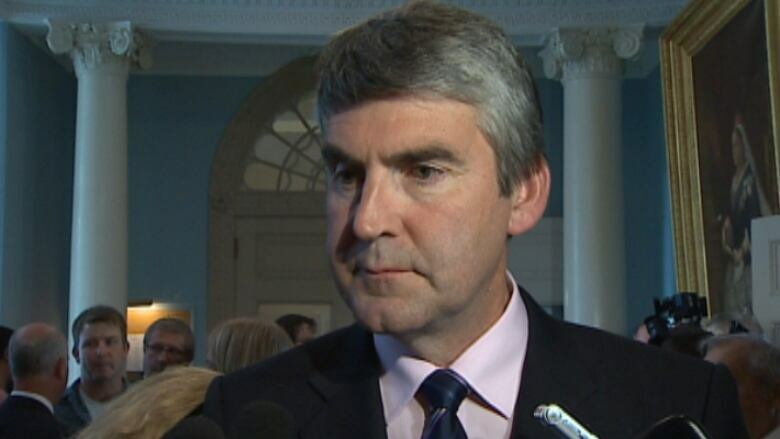 Premier Stephen McNeil, who came to power nearly a year ago, said wage increases have exceeded the province's ability to pay in recent years and are adding to the mounting debt. 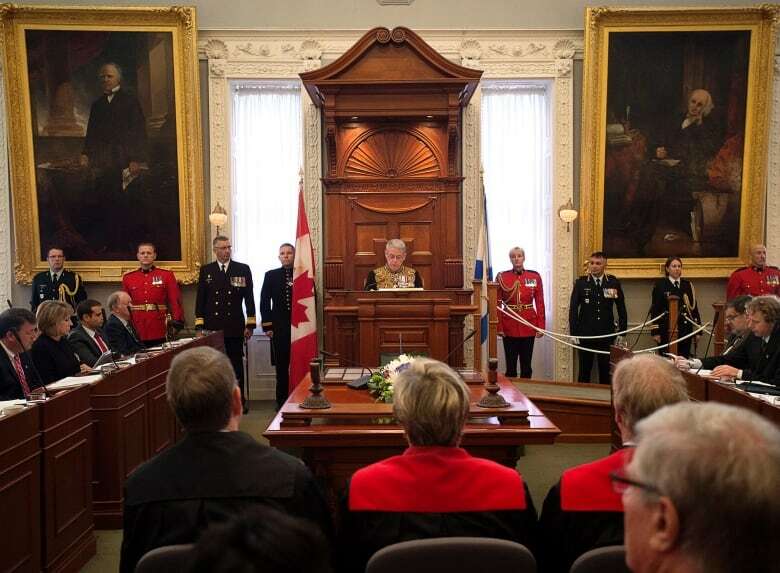 "This is not at all going to war with organized labour," McNeil said after the throne speech. "There has to be an ability to pay for the services we have as a province and everyone is going to have to play a part in that." One of the measures the government is promising involves reducing the number of health authorities from 10 to two. Legislation will be introduced Monday to merge those health boards and determine how health-care workers will be represented in contract negotiations, Health Minister Leo Glavine said. Glavine said the government decided to impose a framework that will identify which unions will represent nurses, technologists, administrative and support workers after negotiations with the unions broke down over the summer. "Among those four unions in acute care there are currently 50 bargaining contracts that go on and we want to dramatically reduce that," Glavine said. He said the bill would also provide for a mediator to iron out existing contractual differences across the various bargaining units. "It won't come about through an easy process, but I think the benefits to Nova Scotia and to the workers will definitely be seen," he said. Glavine wouldn't give an exact figure but estimated the savings generated by reducing the number of health authorities next year could be $1 million or more. He said most of those savings would come from cutting the CEOs and vice-presidents at those health boards. Two of the unions that would be affected by the legislation were unavailable for comment. A spokeswoman for the Nova Scotia Nurses' Union said it was her understanding that the unions would respond at a joint news conference Friday on the legislature steps. The government's approach is likely to antagonize the unions, who are already smarting from essential services legislation that ended a strike by 2,400 nurses in Halifax in April. Earlier this month, the Nova Scotia Federation of Labour, the Nova Scotia Government and General Employees Union, the Canadian Union of Public Employees, the Nova Scotia Nurses' Union and Unifor launched a legal challenge against the law, arguing it violates charter rights affording freedom of expression and association as well as equality rights. Another legal challenge was launched in May by the Nova Scotia Government and General Employees Union over the Essential Home-Support Services Act, which was passed in March and ended a one-day strike by about 400 home-support workers. Acting NDP Leader Maureen MacDonald said the government's latest move to change the collective bargaining process was undemocratic and would further erode the health system by affecting the morale of its workers. "In a democracy you let people make their own choices about who speaks for them," said MacDonald. Progressive Conservative Leader Jamie Baillie said while it was preferable to let workers decide how they are represented, he is awaiting more details about the bill and how it will benefit the health system. "We're interested in the results," Baillie said. "Will there be savings for taxpayers? Will services get better for Nova Scotia patients?" The throne speech also said the government is considering whether some services can best be delivered by the private sector, although McNeil did not specify which services are being examined. The government said it will also proclaim legislation brought in by the NDP in 2010 that doubles fines and adds four demerit points for people convicted of using cellphones while driving. McNeil also promised in the throne speech to ban the use of e-cigarettes in public places.